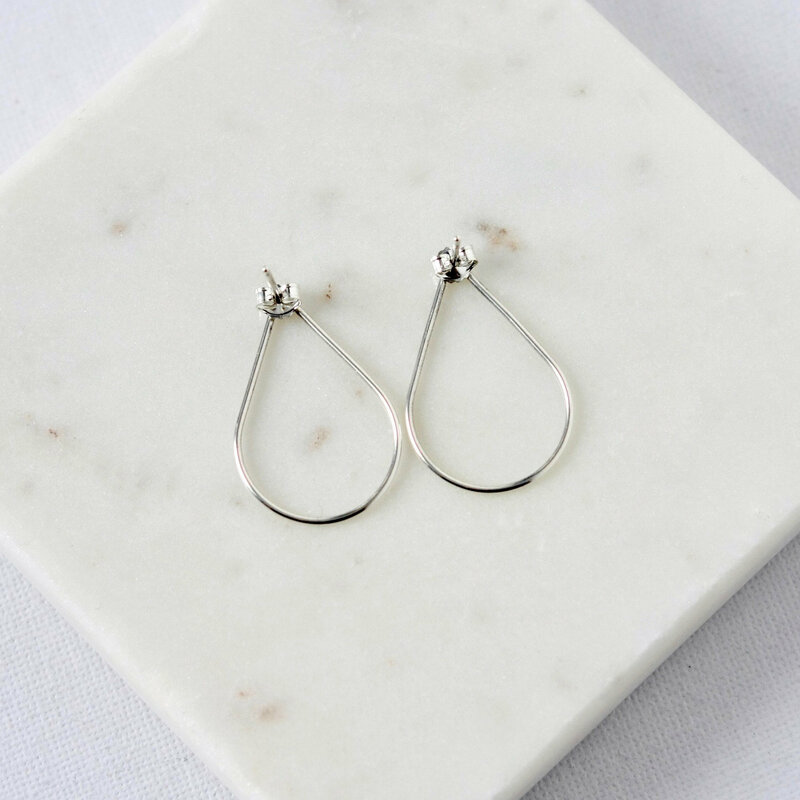 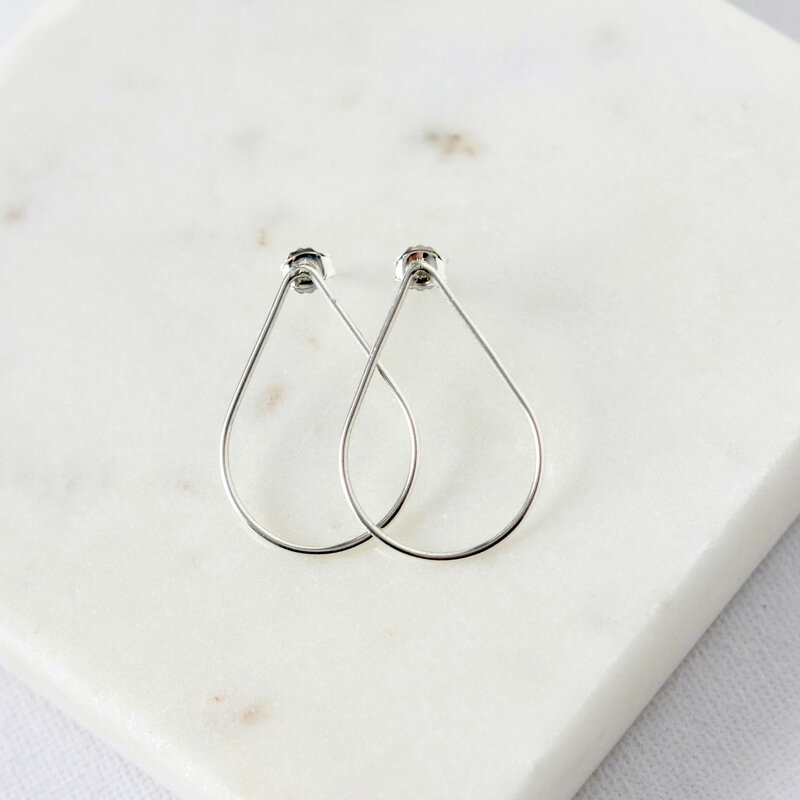 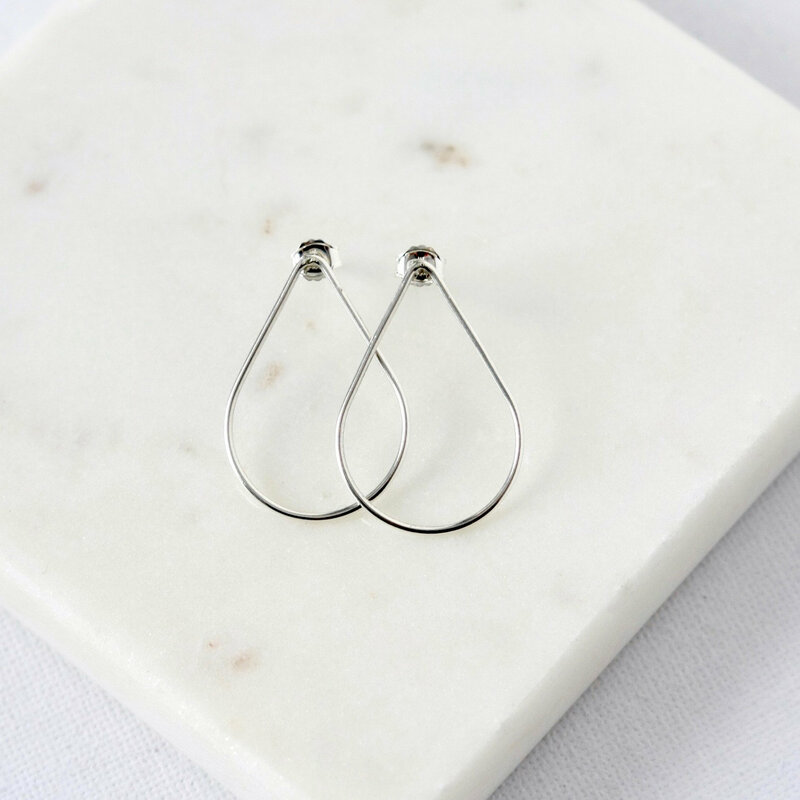 These contemporary stud earrings feature sterling silver wire in an elegant teardrop shape. 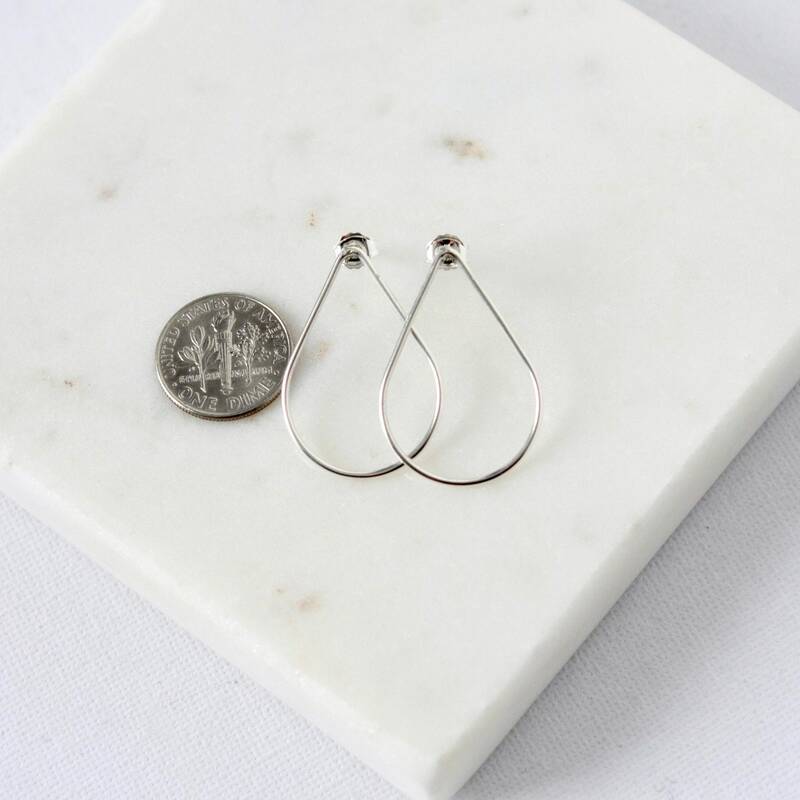 The teardrops are 30mm long and 20mm at their widest point and are very lightweight and comfortable to wear. 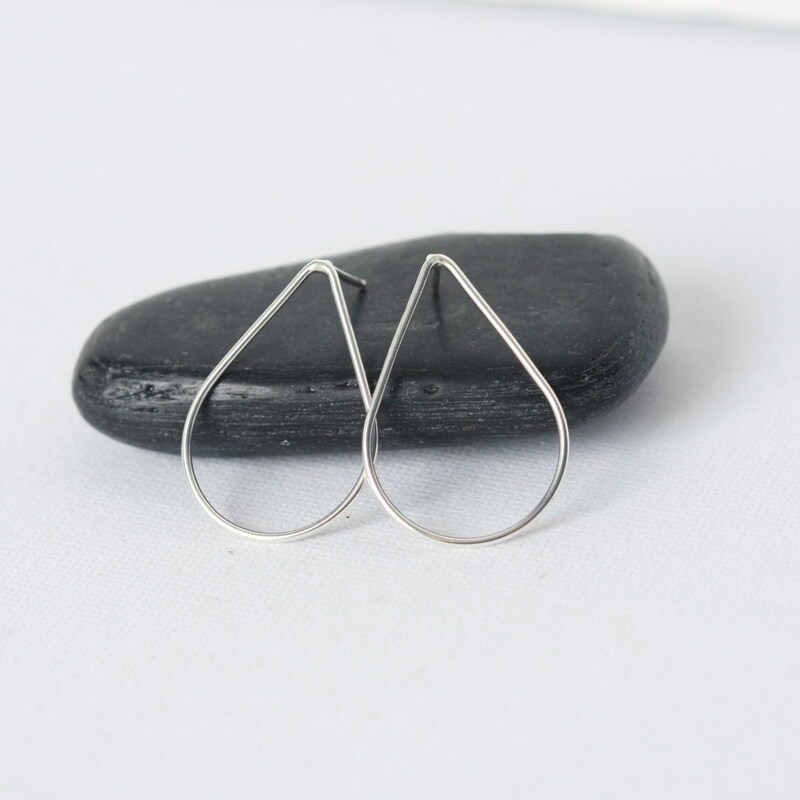 I've soldered sterling posts to the top of the teardrops and the earrings are secured by sterling silver backings. 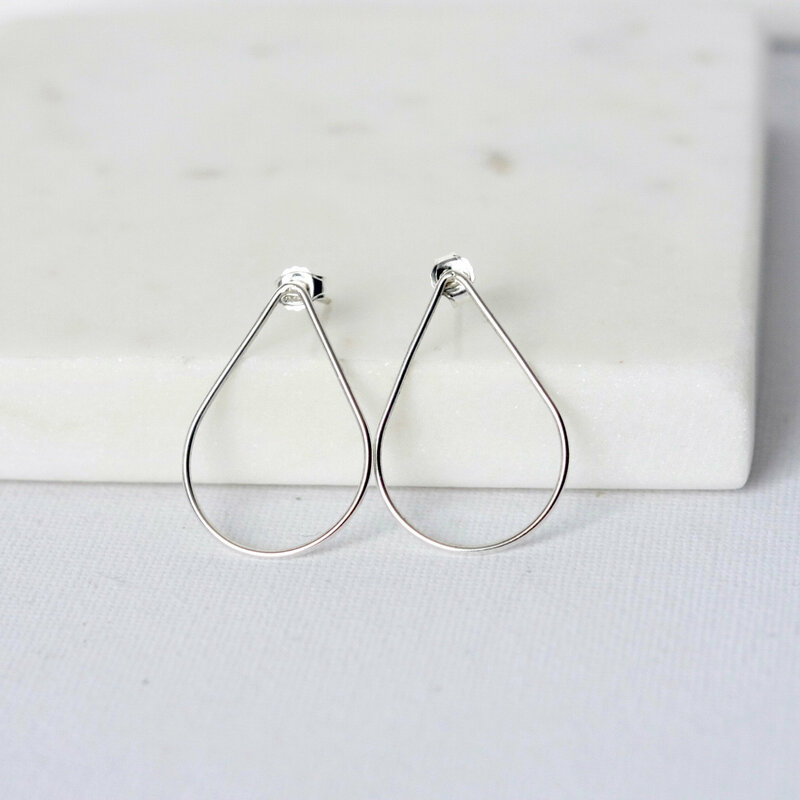 Modern and stylish with clean lines and a minimalist look!